As an adult I only saw my uncle Julián a couple of times, so I did not hear this story directly from him. Also, many summers have passed since I first heard the anecdote, therefore I can’t be sure it is completely accurate, either. I do remember we were outside a masía, one of those isolated and agrarian structures, so typical of the Catalonian landscape. We were surrounded by olive trees, there was still food on the table. We were enjoying wine and the conversation was lively. I heard that Tío Julián had been a mechanic in his youth, and that he sometimes had to drive all the way to Germany with his boss to buy spare parts for the cars in the garage. Since they would usually drive two Porsches owned by my uncle’s boss, they would sometimes race against each other. On one occasion, coming back from Germany, while driving through the treacherous and winding road of Rabassada, between Barcelona and Sant Cugat, heavy fog set in. My uncle’s boss arrived but my uncle didn’t. Fearing an accident, a group of people from the village went to search for him. After a few hours they found the Porsche, with my uncle inside, but it was perched on top of a tree! He had driven off a curve in the road but luckily the tree saved him. 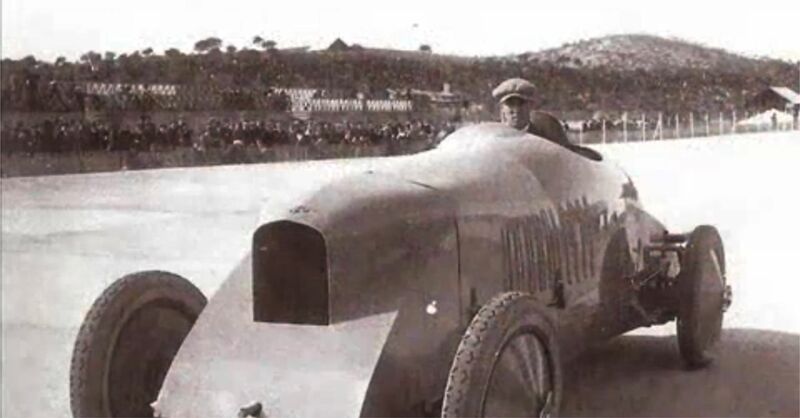 Racing was very popular in Spain in the 1920s. There were more than 60 motorcycle and 40 car brands. 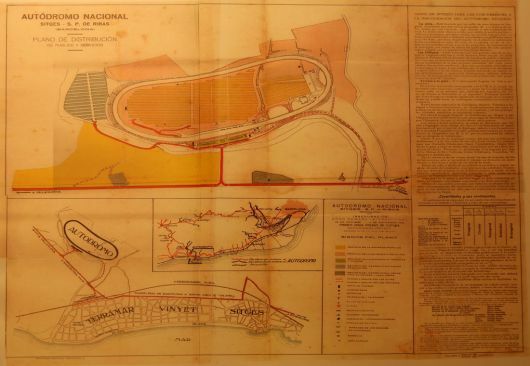 The Sitges-Terramar Autódromo Nacional race track, located at San Pere de Ribes, very close to Sitges, was built in 1922 by a local racing hero called Frick Amargue. At the time there were only two other circuits in Europe, Brooklands in England and Monza in Italy; and one in the US, Indianapolis. The kidney-shaped Terramar circuit was -and still is- 2km long, 18-22m wide, and its 100m-radius semicircular curves were steeply banked, up to 60º. This allowed drivers to reach speeds of 200km/h without having to turn the wheel. The highest banking in NASCAR tracks today, in comparison, is 36º. In corners it resembles more a half-pipe than a racetrack. It must have been quite an experience, not only for drivers, but for spectators as well, because they were allowed to sit on the raised edges of the track to watch the race. Although it was an impressive track, it soon ran into numerous economic problems, due mainly to the high cost of construction. This, together with complaints from drivers who said the transition from straight to banking and back again was not properly designed, resulted in the circuit been banned from hosting international races. The track continued to be used sporadically, but the last race took place in the 50’s. By then the track already had weed sprouting through the concrete in many places. Today, there is a chicken farm in the former infield and sheep graze in and around the track. Red Bull has recently brought together rally champion driver Carlos Sainz and Miguel Molina, official DTM driver of Audi, for a special challenge; to try to beat the speed record set by Louis Zborowsky at Terramar many years ago: 45,8 seconds. Neither Sainz nor Molina had ever seen bankings this steep. The car they were given, an astounding machine, an Audi R8 LSM. In the end, only Carlos Sainz broke the record. The racetrack, after all, is full of potholes and cracks, making it very difficult to drive. 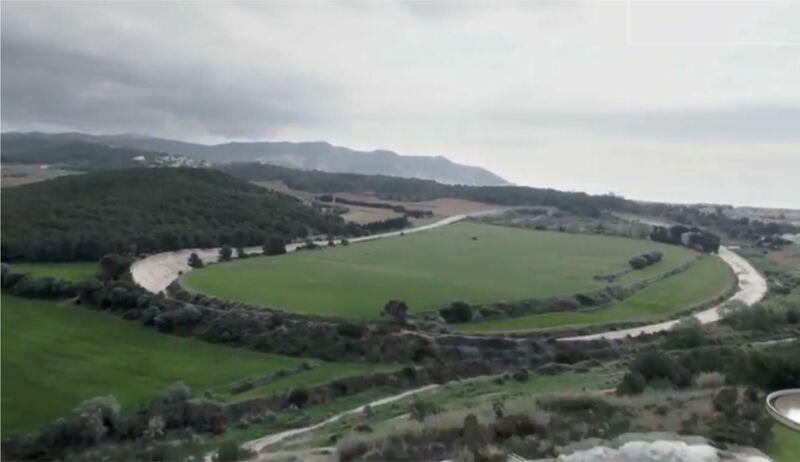 The current owner of the circuit has plans to renovate Sitges-Terramar. 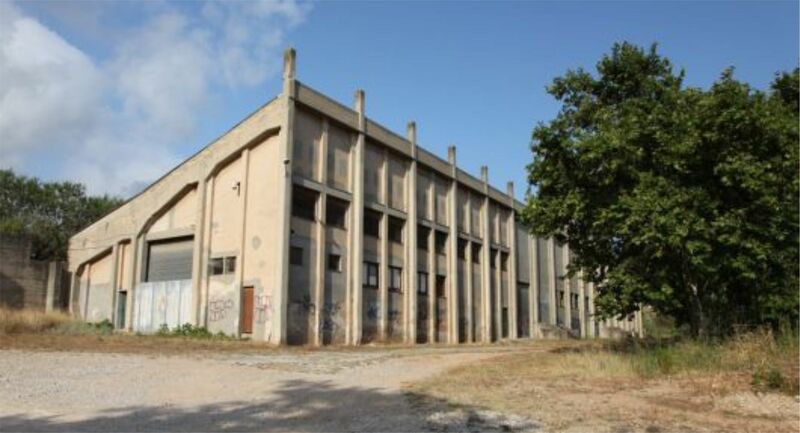 He has so far obtained landmark status for the site from the city of Sitges. Whether he can bring the track back to life, though, remains to be seen. The track itself, despite more than 50 years of neglect, is in relatively good condition. But it is far from perfect, with grass growing out of it. But I’m sure my uncle Julián would enjoy doing some laps around it. And there are many trees around, in case he were to fly a little too high.